The Union Bank Building, near the junction of Nelson Street West and Seventh Avenue South, was constructed in 1888. The two-storey brick structure was occupied by the Union Bank as of 1895. From 1912 to about 1942, it housed the Virden Land Titles Office. Public Accounts, 1912-1943, Legislative Library of Manitoba. The Virden Story by Ida Clingan, Virden: Empire Publishing Company, 1957, Legislative Library of Manitoba. 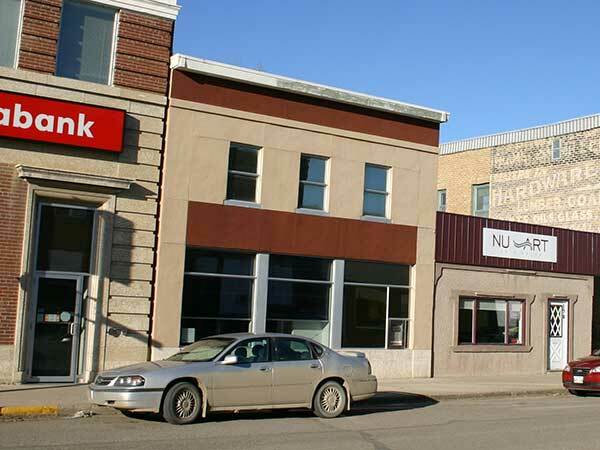 Original Union Bank Building, 190 Nelson Street, Virden Downtown Heritage District. This page was prepared by Gordon Goldsborough and Ken Storie.